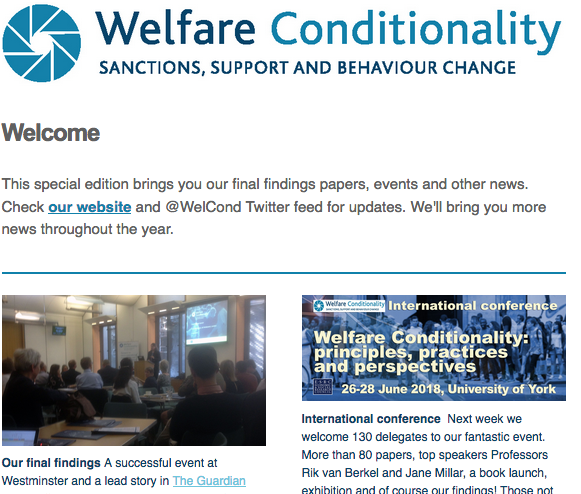 Members of the WelCond research team Professor Peter Dwyer and Dr Sharon Wright wrote a blog for The Conversation in which they detail problems with Universal Credit and call for a rethink. The blog includes experiences from some of the UC recipients in our study. Here we republish the blog. Designed to make people fail no doubt about that. The conditionality and sanctions regime is like something from a dictatorship, austere and cruel beyond words leaving people in a constant state of fear of ‘tripping up’. But that is inevitable being that that is the big plan. If reform was needed it has gone too far and now simply punishes anyone who finds themselves in need of state assistance, not just the workshy.